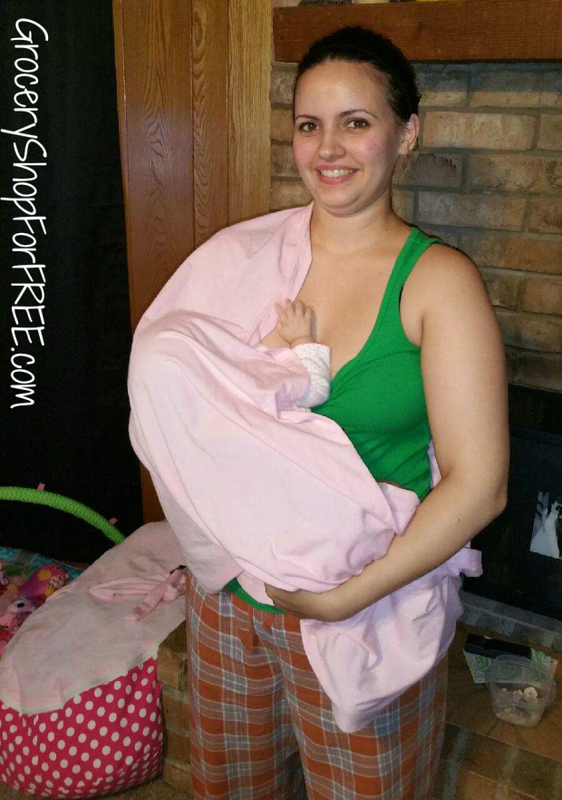 You are here: Home / Family Living / Parenting / BayB Brand 3-in-1 Nursing Cover Up, Baby Sling & Scarf Review! Since one of my sons and my daughter-in-law had their baby in February and I have been babysitting while they work, I have been looking for a good baby carrier. I always loved a “sling” with our kids so that’s what I have been looking for ever since she was born. A few weeks after she was born BayB brand sent me the awesome Infant Bean Bag to review and we love it so much. As I was looking for a baby carrier I saw that they also carried a sling, so, I asked if they would send me one to try, and they did! This is much more than a sling, it can also be a cute scarf, and a nursing cover, too! It’s also very affordable. I know I was not able to buy one for myself when my kids were little they were around $70! BayB Brand’s is only $19.95! I loved the last sling I had, it was easy for me to hand off the last child to one of the older kids or Hubby when I had to, they could all wear the baby with no problems at all. It definitely made my life so much easier to be able to wash dishes or do laundry all while wearing my baby. I did love the versatility of this sling, you can wear it as an accessory to your outfit when it’s a scarf and then you can make it into a nursing cover when baby gets hungry. I think as a nursing cover it’s great, too, because there is so much fabric no matter how you prefer to nurse, your body and the baby’s body is covered. 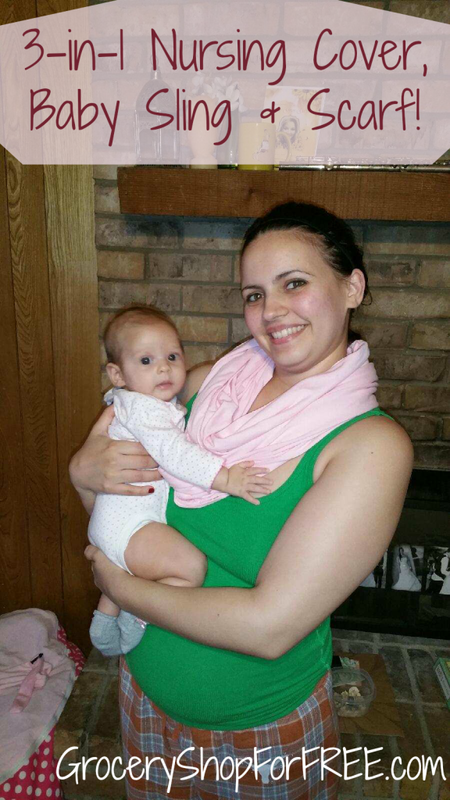 My daughter hated nursing with just a blanket thrown over her because if she pulled her shirt up to nurse her back was often exposed, so the BayB Brand Sling would have been perfect for her, too! So, if you’re looking for a multipurpose baby carrier, this BayB Brand 3-in-1 Nursing Cover Up, Baby Sling & Scarf Review might help!